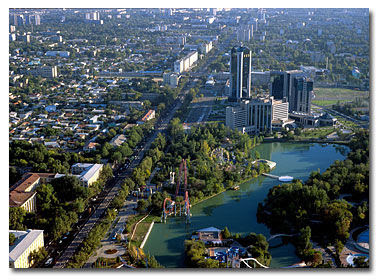 Tashkent, the capital of Uzbekistan, is the most beautiful city of the country. The city is lined with well-developed streets and avenues, which are decorated with gardens, fountains and green parks. There are several tourist attractions in this wonderful city such as its historical monuments namely Architectural Complex Zengi-Ata, Ensemble Khazret Imam; arts and crafts shops like Alayski Bazaar and drama theaters like Theater Ilkhom, Alisher Navoi Opera and Ballet Theater. 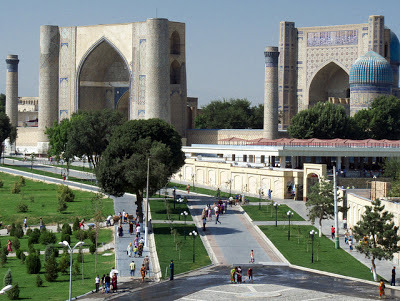 Samarkand, the historic town is situated in the valley of the river Zarafshan. The city has a surprising collection of antique monuments. The legendary city has so many remarkable histories which only can be best known by visiting its historical monuments. The prime monuments of the city are Registan Square- a traditional center of the region; Bibi-Khanum Mosque, the majestic structure of Amir Temur's times and the Relic of Three Religions where Muslims, Jews and Christians all can pray together to their deity. Apart from that, the city is the prime business hub of the region where one can find several industries and mills. 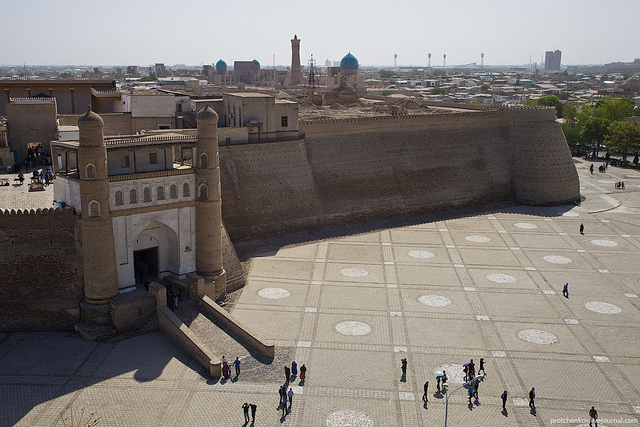 First time visitors can find numbers of architectural monuments in Bukhara dating back to the Middle Ages. 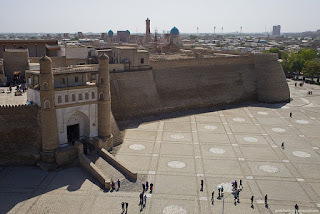 Fortress Ark one of the oldest monuments of Bukhara is located in the heart of the city, which once was the dwelling place of rulers and their servants of that time. The great historical Silk Road is passing through Bukhara. Some worth watching attractions of the city are Bukhara museum, theatres and galleries. 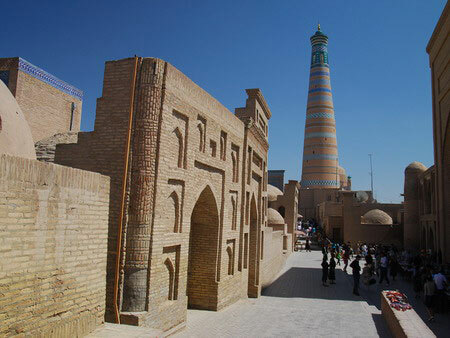 The desert city, Khiva is known for its majestic historical monuments. To watch its attractions, just walk along its main streets, where you will find varieties of spellbinding mosques, minarets, mausoleums and madrassas of ancient times which has given the city an enchanting look. Some famous attractions of the city where you can make your Khiva tour remarkable are Kunya-Ark Citadel, Walls and Gates of Khiva, Kutlug Murad Inak Madrassah and Islam-Hojja Minaret. Nukus is a beautiful city of Uzbekistan. 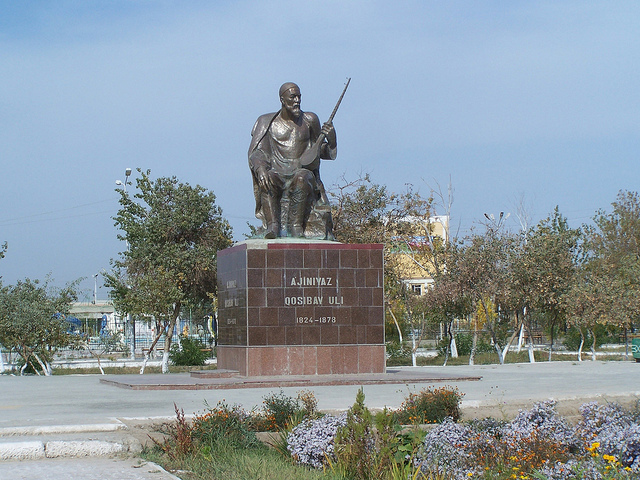 The main interest of the city is its three affiliated museums which one never should miss out during Uzbekistan Tour. Those are the Karakalpak State Museum, Appled Art Museum and Igor Savitsky where tourist can see more than 50,000 of paintings and work of arts which once were banned during Soviet period.